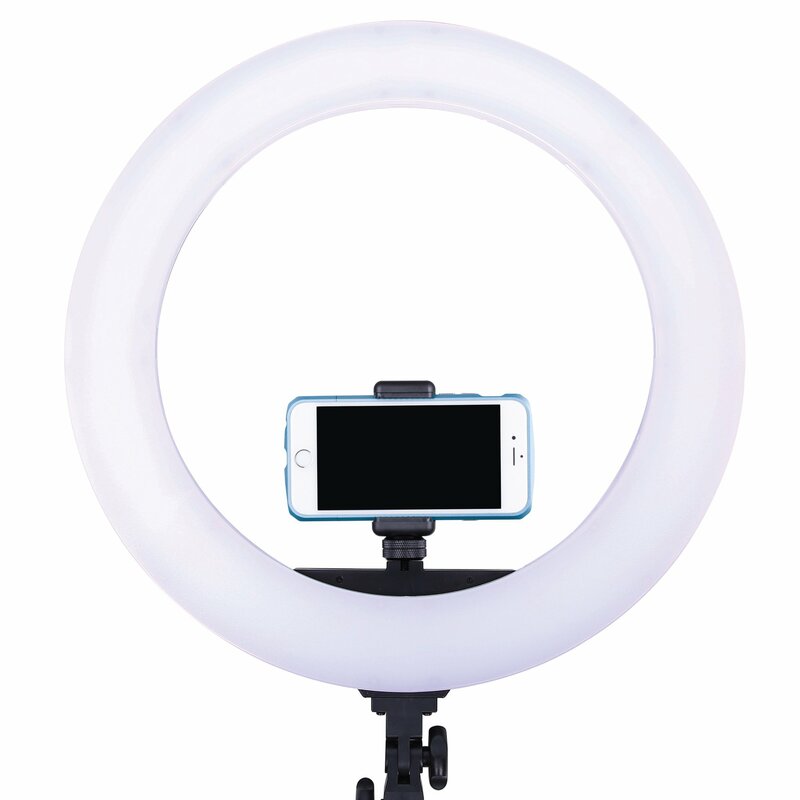 The Perfect Portrait Ring Light. This is the portrait look you’ve been looking for. While the first thing that catches your eye is the unique form, the Halo Series demonstrates its versatility through performance and convenience features that stress flexibility in design. The LED180 offers color temperature that’s variable from 3200 to 5600 and anywhere in between to blend seamlessly with other fixtures, or to meet the challenge of inconsistent ambient light conditions without the burden of applying filters. Light intensity is also adjustable from 0-100% with a simple twist of a knob. While most light fixtures have a degree of directionality that allows selective lighting, the Halo is omnidirectional, bathing your subject in soft, flattering, near-shadowless light that is very kind to skin tones. Dracast employs 252 surface-mounted LEDs softened by a diffusion filter, and maintains a high CRI of 96, indicating an accurate rendering of color. You can use the Halo as you would a traditional fixture – on a light stand placed to one side of your subject for wrap-around light and open shadows. It’s when you place the camera lens into the center of the 19″ ring that the Halo shows its true nature. You can use it combined with harder light sources to create a soft fill light, and since the Halo dims from 0-100%, you won’t have to jockey the fixture around the set to obtain the required level of light. It’s when it’s used alone that its signature characteristics emerge – soft light on the face, head and shoulders, for instance, with sharp shadows cast exactly behind the body. The circular catchlights reflected in your subject’s eyes also have a striking effect, especially up close.